Before the guests arrived to this ceremony at Trump National Golf Club Los Angeles I captured this photo of the site. 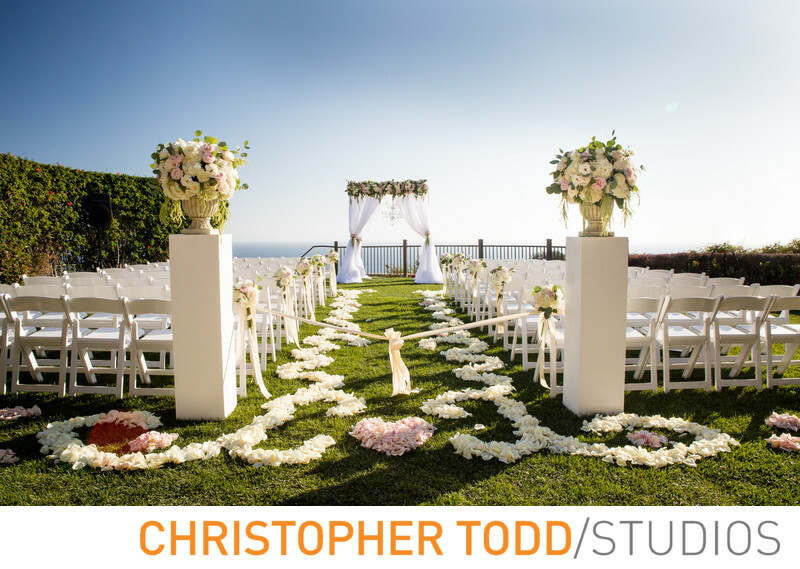 Decorated with lavish floral arrangement and a flower petal design for an aisle run. The arbor was also decoreted beautifully with white curtains, flowers, and an outdoor chandelier. The oceanviews were stunning from this location. 1/80; f/16.0; ISO 400; 24.0 mm.